Letting your talent flourish fully ~ HELLO, my name is Blog! I have a friend who jokes that I should travel around with him as his official stenographer. Apparently I possess the superpower of being a gifted note taker. Which is amusing to me, since I never viewed taking notes as a useful skill. It’s just something I love to do. Not just because I’m a writer and sentences are my currency, but because mirroring people’s thoughts back to them, giving them a front row seat to their own brilliance, that’s one of the ways I create value for others. The problem is, my notes have a tendency to overwhelm people. Despite my generous intentions, not everybody can process volume the way I can. And so, I started wondering. 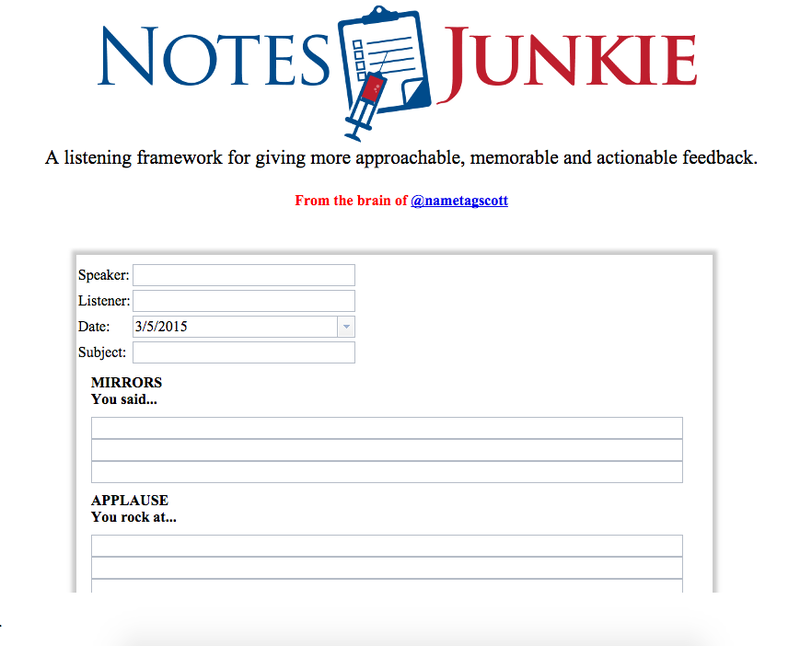 What if there was a bespoke template I could create to help compartmentalize my notes for easier digestion? What if there was a way I could translate my unique way of thinking onto the screen? After all, none of the current note taking paper or software or systems work the way I need them to. May as well create whatever you feel like you’re missing in the world, right? Introducing my new software application. 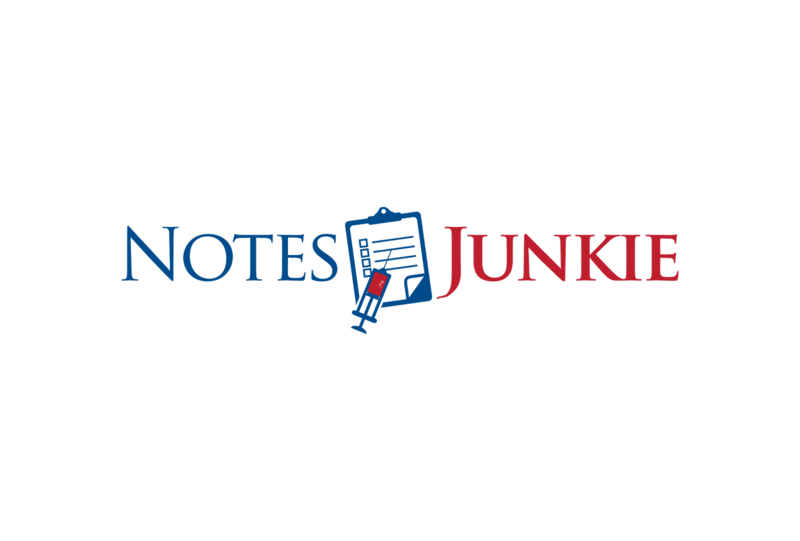 Notes Junkie is a web application that makes taking notes more approachable. The template includes several fields in which to compartmentalize key points from a conversation or meeting. And when you're finished with the conversation, the software converts your notes into a printable document. There are mirrors, which reflect people’s realities back to them. There is applause, which lays a foundation of affirmation. There are questions, which challenges people to engage in possibility. There are ideas, which plant seeds of innovation. There are resources, which point to further opportunities for learning and connection. And there is a summary, which leaves people with a sense of optimism and momentum. That’s how I listen to people. That’s the way my brain works. Whether a client is renting my brain one on one, or a friend is seeking advisory for a career move, I now have a way to both process and deliver my thoughts in a way that’s approachable, actionable and memorable. How are you branding your listening ability?